The business was established by the late James Wilson in 1914 when he took over business from his grandfather Andy Tufts and placed his first newspaper advertisement that year. 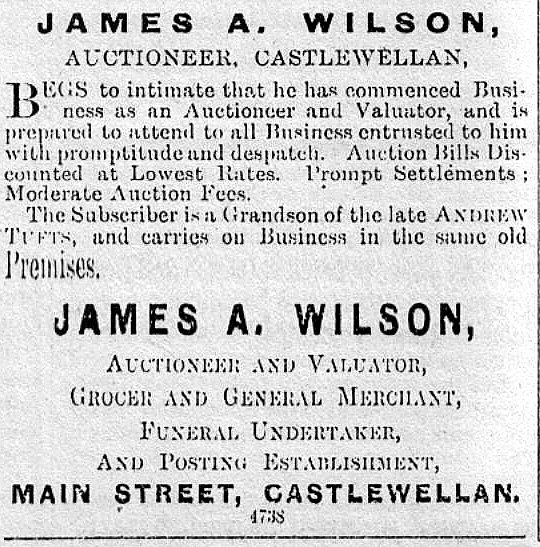 Changes had to be made to the business and 36 horses were sold off; later the grocery and general merchants were sold to a new Co-Operative Society started in Castlewellan. The other branch of the family goes back to Mrs McCoach who was one of the first postmistresses in Newcastle, when the Post Office was situated on Causeway Road. It was later moved to new premises on Central Promenade which were subsequently destroyed in the 1970s. Mrs McCoach's mother was a Radcliffe and her great grandmother's name was Bronte. Mrs McCoach's father was William Radcliffe who had a tailoring shop on Upper Square, Castlewellan, and made the staff and riding uniforms for Lord Annesley. Over the years the business evolved through funeral undertaking, furniture manufacturing and furniture retailing. 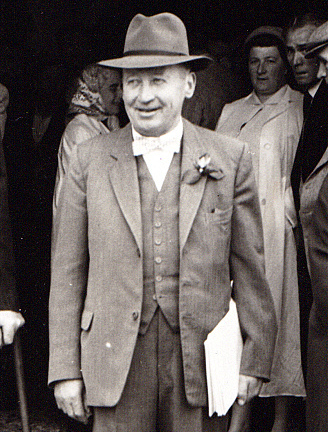 Will Wilson joined his father in 1954 after three years in Belfast with Osborne King and Megran. One of his earliest assignments on joining Osborne King and Megran was helping in the preparations for auctioning the rolling stock and rail lines of the Giant's Causeway tramcar system and the County Down Railway. Now the business has reached a new phase with William Wilson and Colin Adams having joined Will as partners in 1999. William joined the firm in 1989 and has been actively involved with all aspects of the business and in particular with sales. William is a member of the National Association of Estate Agents. Colin Adams (William's brother-in-law) joined the firm in 1993 after practising as a solicitor in the firm of James Murland & Co. Downpatrick. In addition to his legal qualification he has a BA in Archaeology and a BSc in Estate Management. He is a Fellow of the National Association of Estate Agents. The business includes residential, commercial, new developments, agricultural sales; lettings and management; valuations of property for transfers, capital gains, inheritance tax and compulsory purchase, rent reviews and auctions of chattels and property.